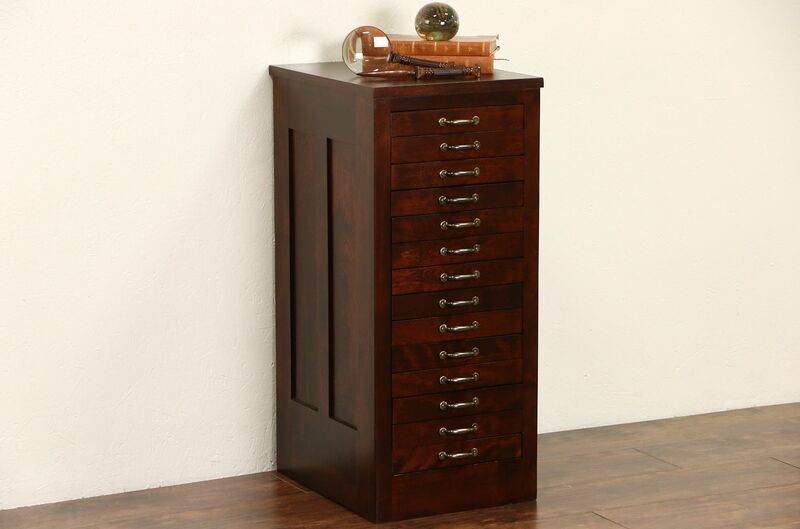 A fourteen drawer collector's file cabinet from the 1920's has many uses - sheet music, drawings or jewelry. American made antique furniture, the birch hardwood case has an excellent restored finish. Brass pulls are original on the drawers, interior dimensions are 10 3/4" wide, 15" front to back and 1" deep. Sides are paneled. Overall size is 15 1/2" wide, 18 1/2" deep and 35" tall.